Acupuncture comes with many benefits. If your health is suffering, it’s likely that acupuncture can help. Learn about all of the issues acupuncture treats, and find out if it’s right for you. For centuries, people have used acupuncture to treat a variety of ailments. Although many people turn to it as a last resort, it’s highly effective. Whether you have a simple issue or a complex medical condition, acupuncture could make a difference. 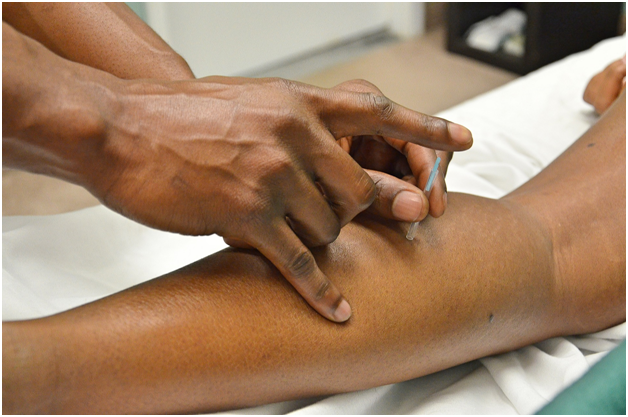 Acupuncture involves the placement of thin needles throughout your body. However, it is not a surgical or painful procedure. It’s a form of Chinese medicine that aims to balance the flow of energy through the human body. In many cases, acupuncture can treat conditions that seem otherwise untreatable. The success rate of treatment is often high. For example, one study of non-oncological pain showed that almost 80% of individuals experienced less pain with acupuncture. In addition to treating issues, acupuncture also works as a preventative measure. By visiting your acupuncturist, you can enhance your health. You can keep illness at bay and improve your energy level. Usually, it only takes between two and four visits a year to maintain your health. If you’re looking for specifics, you don’t need to spend much time searching. There are many conditions that acupuncture can treat. Most commonly, acupuncture is for the treatment of pain. However, there are many other conditions treatable by the holistic treatment. If you speak to an acupuncturist, they can listen to your issues. Then, they can explain whether or not acupuncture can help you. For many individuals, acupuncture provides relief for sinusitis and sore throats. It can also assist with ringing in the ears, poor eyesight, and earaches. When you have trouble with your circulation, you can experience a host of other issues. It can result in anemia, angina pectoris, or arteriosclerosis. But acupuncture can improve your circulation and limit the negative effects that come with poor circulation. When your gastrointestinal tract isn’t working well, you can experience extreme discomfort. Fortunately, acupuncture alleviates many types of gastrointestinal disorders. For instance, it can help with IBS, colitis, diarrhea, and food allergies. For many individuals, PMS is extremely uncomfortable. It can result in crippling pain that keeps you bedridden. Fortunately, acupuncture can provide you with some relief. The treatment can also improve the symptoms of menopause, fibroids, and chronic bladder infections. If you are pregnant, the treatment can give you relief for morning sickness and other complications. There are hundreds of other ailments for which acupuncture can provide relief. Issues like impotence, addiction, and anxiety all can improve with acupuncture. However, you can’t know if it works until you try it. It’s something you need to experience for yourself. According to Michael Forman Dom, P.A, acupuncture in Miami can make a difference for most patients. To learn more about what the ancient treatment can do for you, contact your local acupuncturist.